I like to joke that my Muse tricked me into writing and, in a sense, that's true. Through public school and most of university, I did everything I could to avoid writing. But my Muse had other plans, and I was slowly and subtly transformed into the writer I never thought I wanted to be. If by my mid-20s I was freelancing full-time as a self-taught writer and editor, it would take another dozen years before I moved from a teller of others' tales to a teller of my own. What I have discovered through that time is that the call to write is one I can't ignore; I can't not write any more than I can't not breathe. It's ironic, but as painful as I found the decades of creative drought that preceded The MoonQuest, my first novel, it's those years that ultimately fueled all the passion that has followed: my teaching, my speaking and, of course, my writing. Today, when I'm not working on my own creative projects, I'm helping to guide others – writers and non-writers alike – on theirs. I do it through my books and recordings. I do it in my workshops, webinars and seminars. And I do it one-to-one as a creativity catalyst, a term I coined to take coaching and mentoring to dynamic, more empowered levels. In short, my passion is to inspire and impassion you to unlock, fire up and unleash yours. Drop me a line and let’s answer your call to write today! 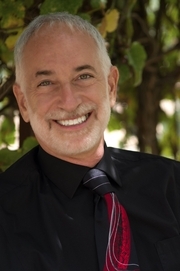 Look for me at www.markdavidgerson.com and on Facebook, Twitter, Pinterest and Google+. Mark David Gerson is a LibraryThing Author, an author who lists their personal library on LibraryThing. Mark David Gerson is currently considered a "single author." If one or more works are by a distinct, homonymous authors, go ahead and split the author. Mark David Gerson is composed of 1 name.